Hari Menon oversees the foundation’s global philanthropy strategy with a focus on the work in India and the Middle East. He is also the foundation lead for policy and government relations work for South-East Asia. Prior to joining the foundation in October 2013, he served as strategic philanthropy adviser to Rohini Nilekani, a leading Indian philanthropist. Previously, he spent over seven years with the Gates Foundation’s India Country Office supporting a wide portfolio of work in public health in areas such as HIV prevention and maternal and child health, and helping support the start-up of India portfolios for Agriculture, Financial Services for the Poor, and Water, Sanitation & Hygiene. 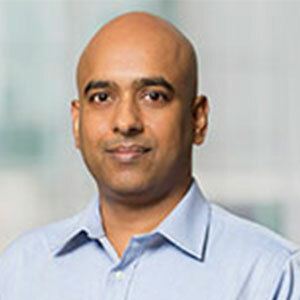 He also has prior experience of over eight years in information technology with Infosys Technologies, and in consumer marketing and sales with Colgate Palmolive and ESPN.